It is easy to delete files and even whole partitions on the Windows operating system. This is something most of us have had to deal with, usually after it is too late, and we have emptied the old Recycle Bin of its contents. When this happens, we tend to assume that the damage is done and the data is gone. That is simply not the case anymore. 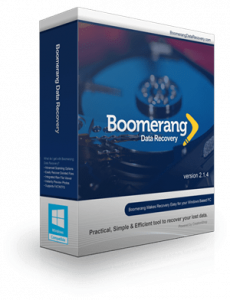 Now, data recovery Windows is very much a reality. Let’s take a look at three ways you can benefit from data recovery on the Windows operating system. Whether you need to restore files created in Microsoft Office or any other program, reliable data recovery Windows is the only way to make it happen. Whereas in earlier times in the digital era data recovery was an act of ‘magic’ reserved for law enforcement and white hat hackers alike, it is now accessible to everyone running the Windows operating system. Now, if you have accidentally deleted some needed files, you can get them back by simply scanning your drive, highlighting the deleted files it contains, and choosing the ones you would like to restore. It is a process that is not only simple but also fast. If you are like most people, you have lots of audio files. Songs, podcasts, and audiobooks are all likely occupying space on your hard drive. Once in a while, it is all too common that we inadvertently delete the audio files we have been collecting for years. When this happens, it is understandably frustrating. But when it happens to you, you need not worry. Modern data recovery makes it possible to get those audio files back, with very little effort. In fact, a good data recovery application does most of the work for you. Photos are another type of file that is routinely deleted on accident. And photos can be highly important to us, representing many of our most memorable moments. Thankfully, data recovery Windows works as well for photos as it does for other types of files. When you realize that you have deleted a photo (or a folder full of them), all you need to do is open your file recovery app, scan the drive, highlight the photos you would like to recover and lick to restore them. it is easy as pie!